An unknown mountain biker jumps off a ramp with the French alps in the background, during the 2008 MegaAvalanche downhill MTB race, held at Alpe d'Huez in Southern France. 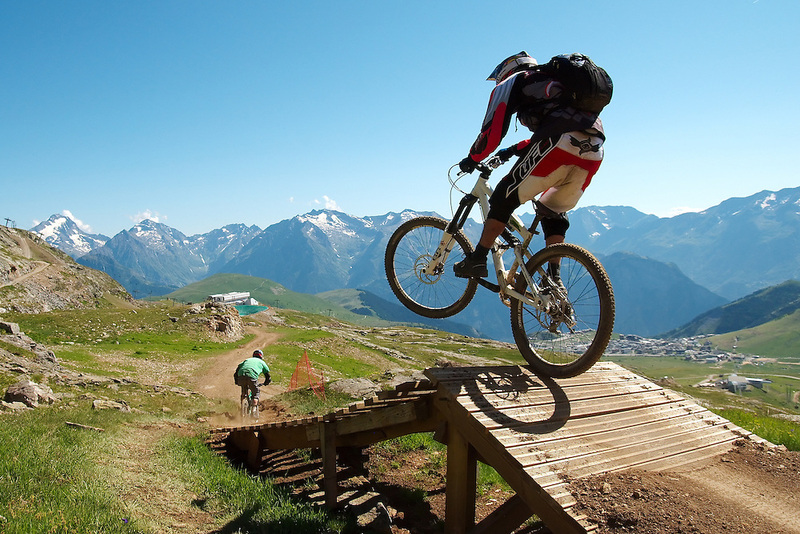 The MegaAvalanche race is the longest downhill mountain biking race in the world, taking place every summer in France. In this year's race (2008) the weather closed in and stopped competitors racing over the full course. As a result, the event was started lower down over a shorter course, and won with a fantastic performance by Rene Wildhaber.